Posted on January 4, 2019 by Elizabeth E.
all advertising her newest endeavor. But I am a bit frosty about this, for one reason only: she has a megaphone, and I have only this blog. 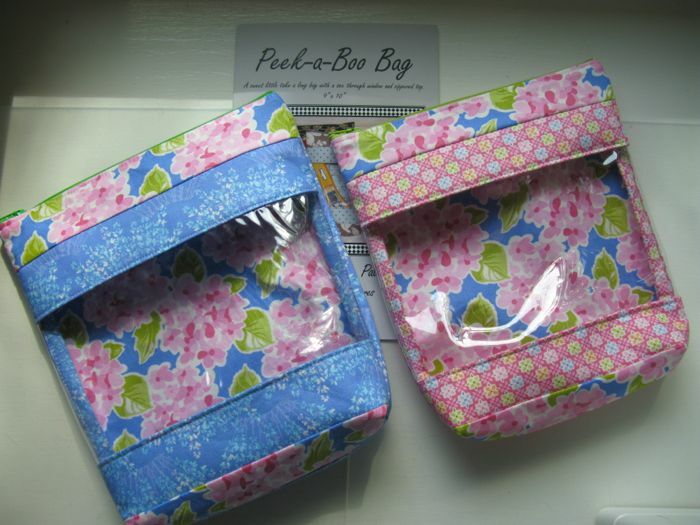 I used to have a blog and a Craftsy site (! ), but I guess I also have Instagram, which might have a zillion followers if I unblocked all those creepy men or Quilt-Content-Thieves. But is it really “frosty” or is it more that I’m jealous? I think the latter. 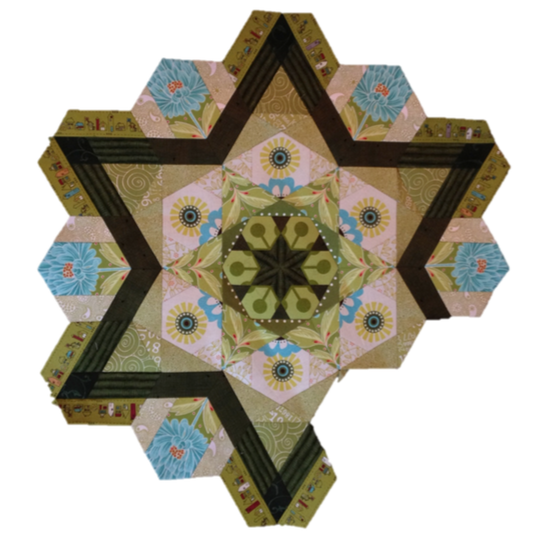 I still have my Shine patterns here, but really, I have to yield the selling floor to the firepower of Piece O’Cake Designs, in making a quilt with a grid of paper-pieced circles based on the traditional style of a compass rose. I don’t have her readership, her TV show appearances, her mailing list. She’s a tsunami. I’m a wobbly sprinkler on the back lawn. To be truthful, Goldsmith earned her tsunami status through hard work over many years; again, she did NOT copy me at all. I have all of her books, and have made a couple of her designs, so you do have to put me in the category of Total Admirer. But that’s not the issue here. 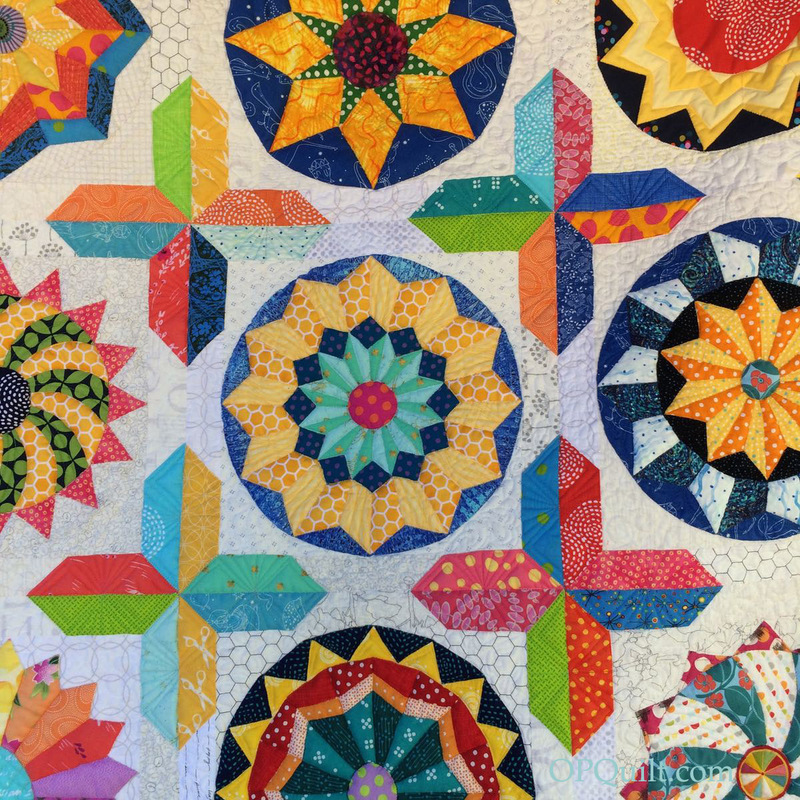 My takeaway: when quilters come up with designs similar to one another, it’s not always a copyright issue, which is the usual scream that emmanates from the collective online voice. Sometimes it just is the Zeitgeist. 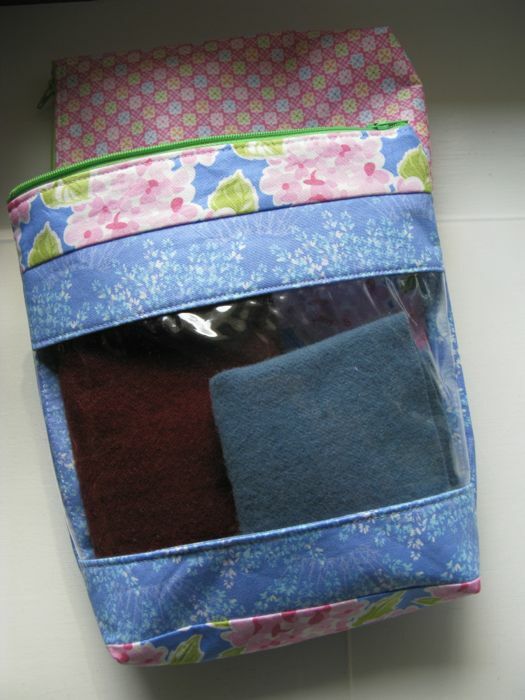 Sometimes the Sew Together Bag is merely a copy of her grandfather’s toiletries kit (this fact mentioned to me while we were standing in line together at Market in Salt Lake City), and my Mini-Sew Together Bag was a version I was working on when I didn’t like the bulk of the original, and my Smile Bag came before byAnnie’s Clam Up bag and perhaps we were both inspired by the bag for the First Class United Airlines customers, and perhaps they were inspired by some ancient Japanese zakka. That’s how these things go. Updates to original post are in black text. 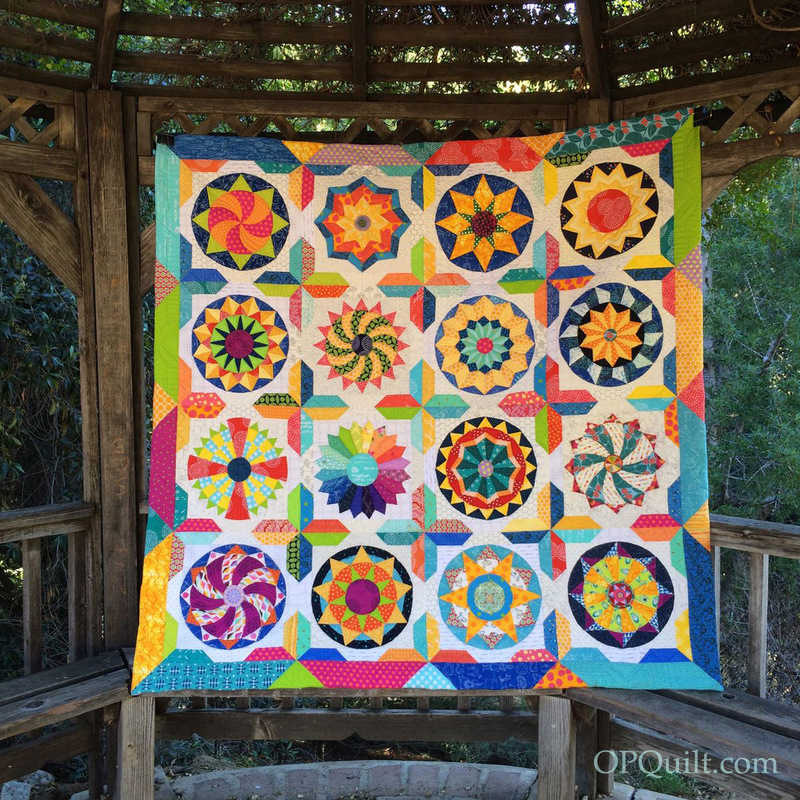 Posted on November 13, 2016 by Elizabeth E.
This quilt finally finished, I took it out for a photography session with the help of my husband. 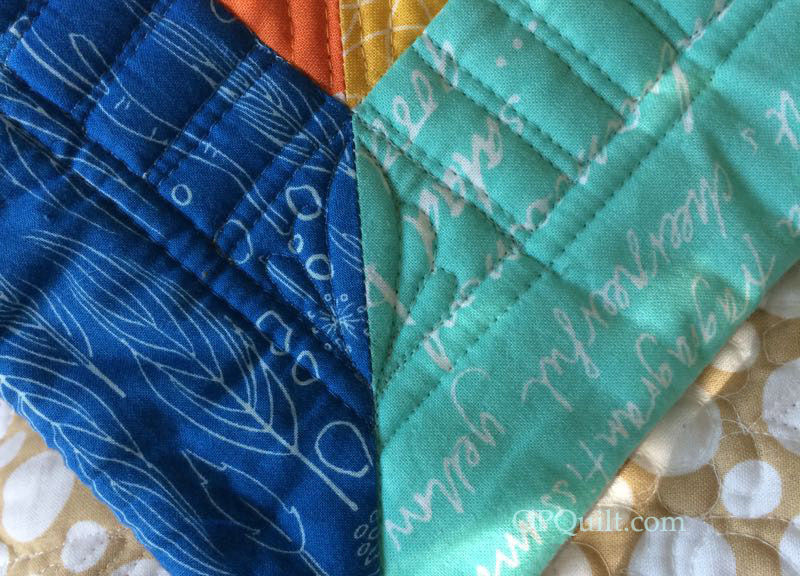 I started sewing the first block in June of 2014, and finished the top a year later. The quilting was finished at the end of September, but it wasn’t until now that I could get time to take it up to our university’s Botanic Gardens to get some photographs. My husband’s favorite block. 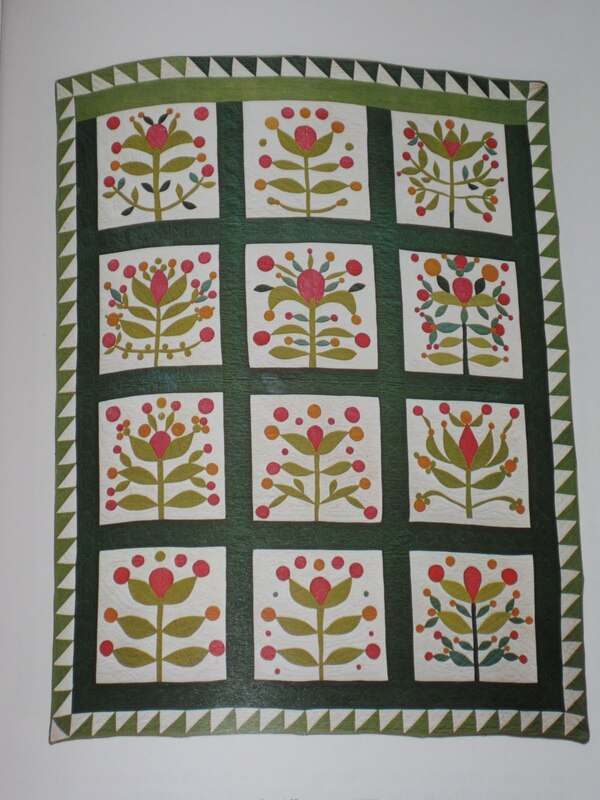 As some of you know, many of these blocks were inspired by art in a church in Slovenia, as well as designs from our travels. 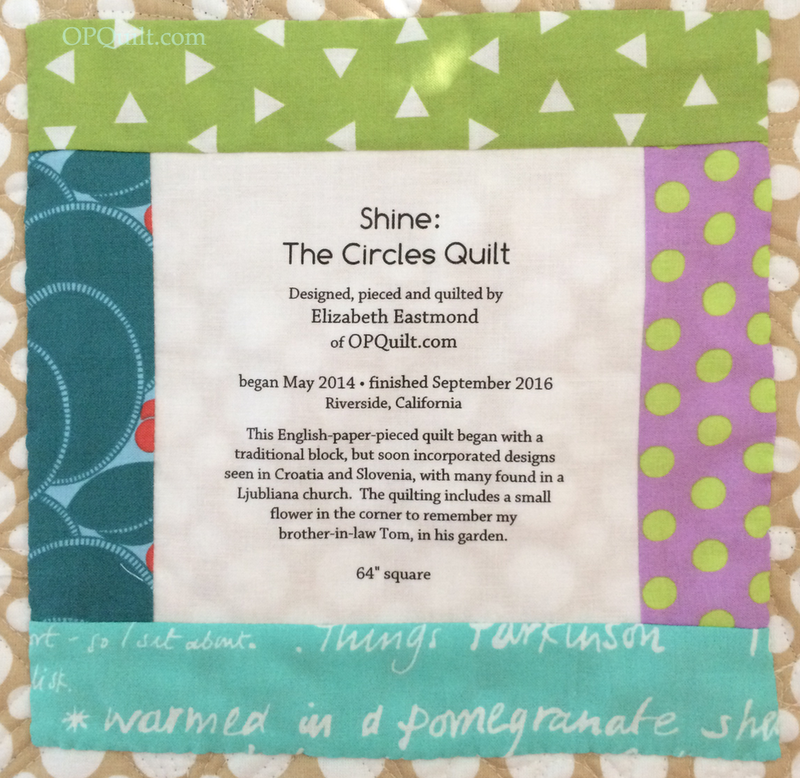 Most of the patterns and accompanying tutorials are free on this blog, found *here* as well in a tab labeled Shine: The Circles Quilt. 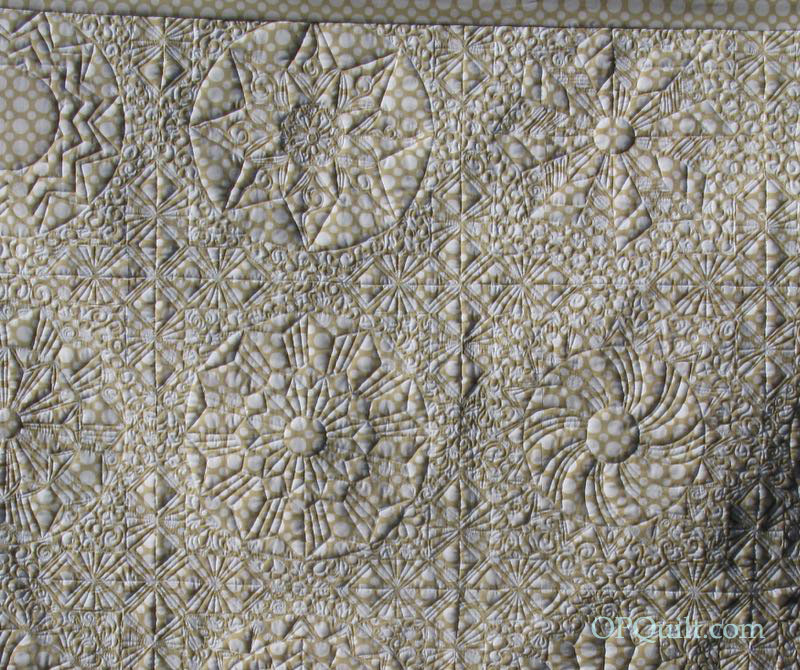 This shows the quilting. I was trying out double batting (polyester with wool), and found it was a challenge to move the heavy quilt around on the machine. 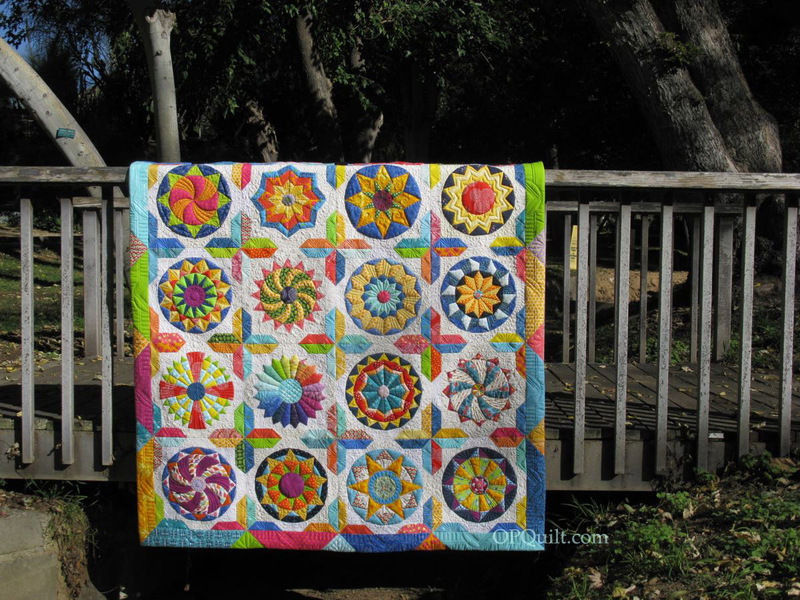 It took me nearly 4 months to quilt this thing, as I was hobbled with a shoulder injury. But I was able to finish it! 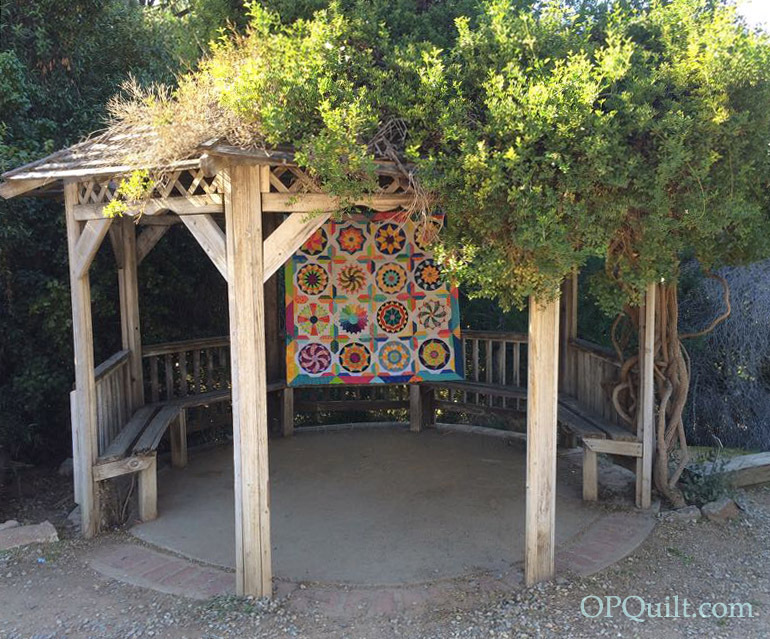 As I quilted, I thought a lot about my brother-in-law Tom, who passed away a little over a month ago. 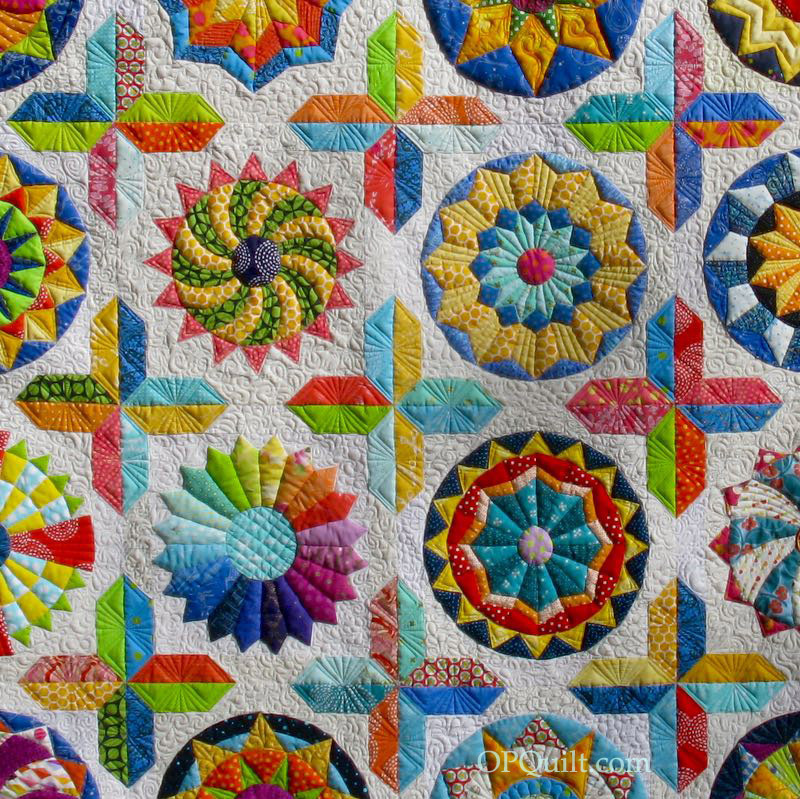 He maintained a beautiful small garden in his backyard, and so in one of the corners I quilted in a flower in his memory (shown below). 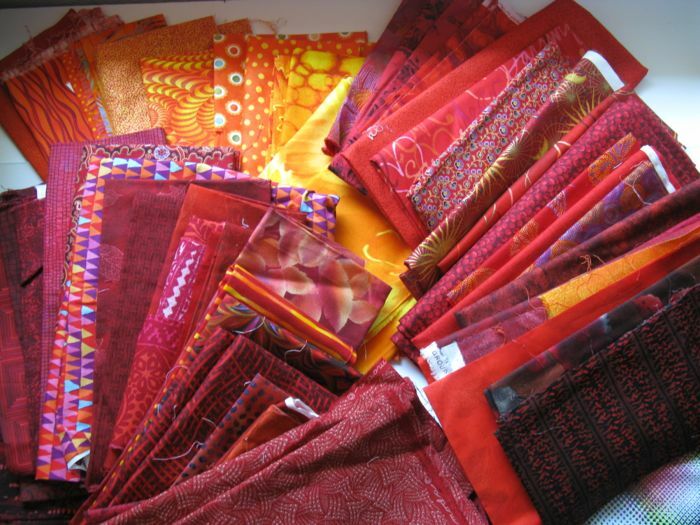 Many offered advice and help while I was quilting: thank you, everyone. This closes a chapter in my life. Lovely to see you here, Shine! 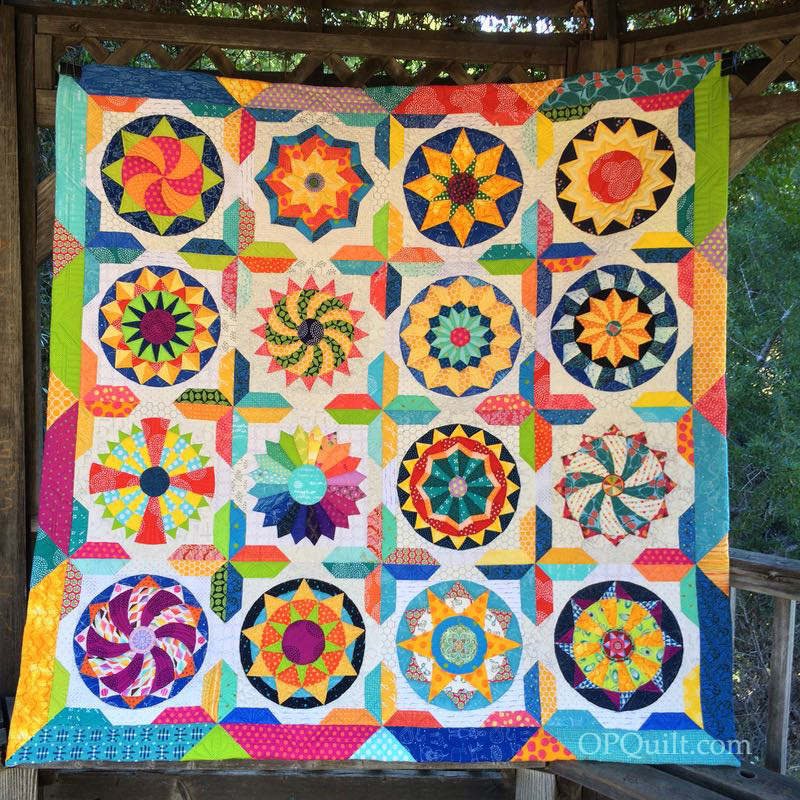 Posted on March 26, 2013 by Elizabeth E.
Many thanks to Lee of Freshly Pieced Fabrics for hosting all of us quilters on WIP Wednesday. Picked up this pattern at the Glendale Quilt Show and slid in one more project before my Spring Break ended. I love the vinyl see-through fronts, so I can find those scissors. . . or spool of thread. I’ve already packed up one with a hand-sewing project. The project is a little bird pincushion made of felted wool fabrics. Now to find some movie-watching time to work on it. 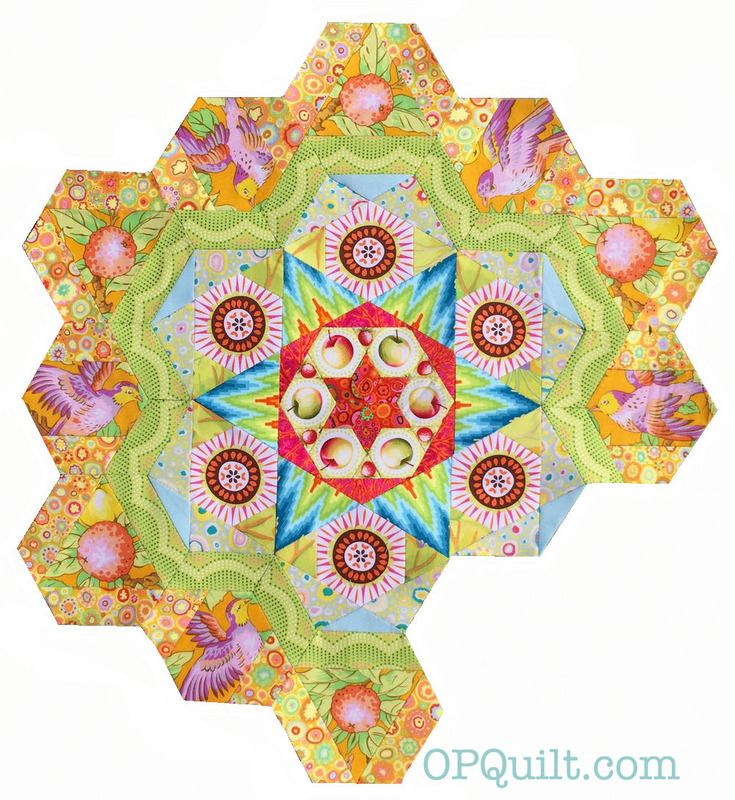 I’m teaching a class for a local quilt shop (if peeps sign up. 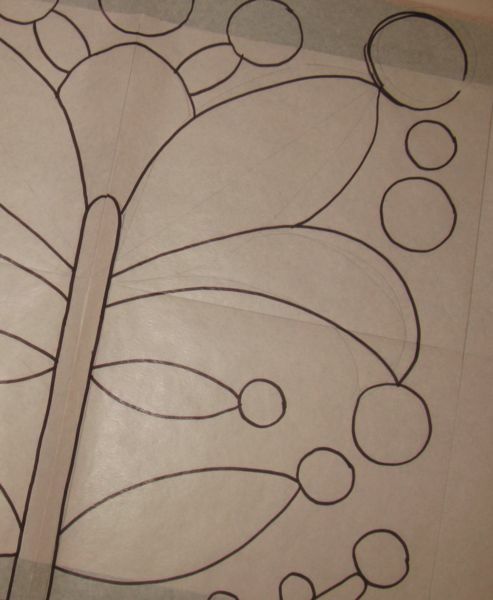 . .) and while it’s based on the idea of large globular shapes in a roughly floral design, I didn’t want to copy Kim McLean’s fine work. So I pulled up the original quilt from the 1880’s, and tried to combine elements that had that funky vibe. I just finished it, and after I order some kind of Kona red (do you know how many reds there are in the Kona fabric rainbow? 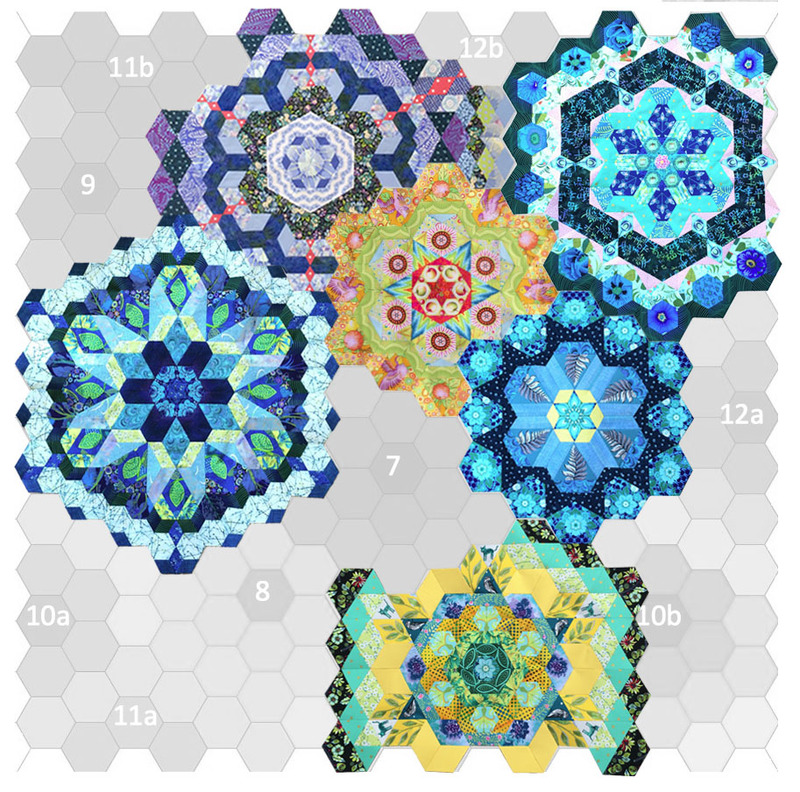 ), I’ll start constructing a vaguely Christmasy-Hollandish wall hanging for my sample in blues and greens on a red background. I’m also working on this one — in my mind. 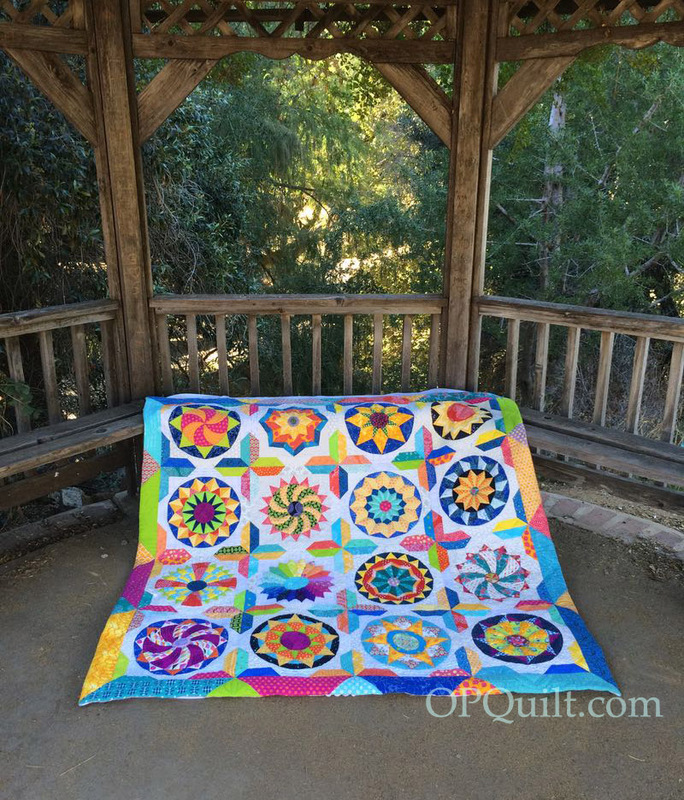 The quilt top is pinned to its backing and laying over the chair in our living room while my subconscious mind figures out a way to quilt it. I’m trying to be patient. 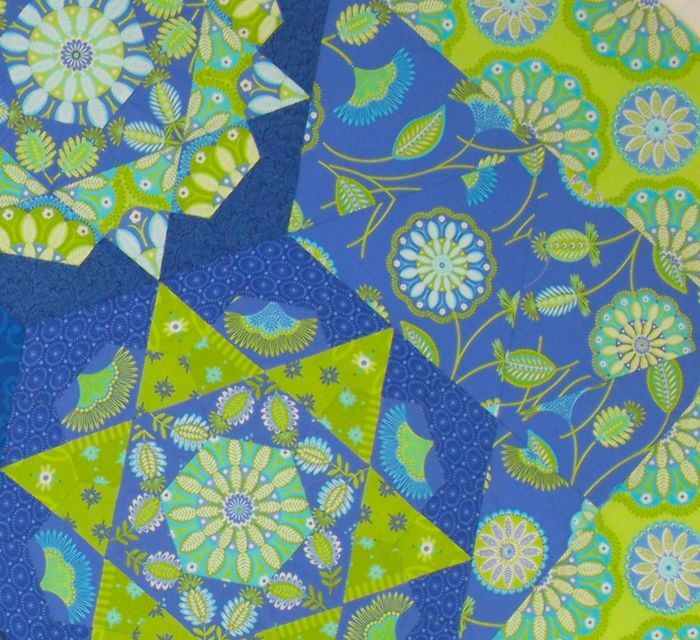 Lollypop Trees isn’t even pinned to a backing yet as my subconscious can only handle one quilt at a time. There are many other ideas working their way forward, but that’s enough for today, I think. 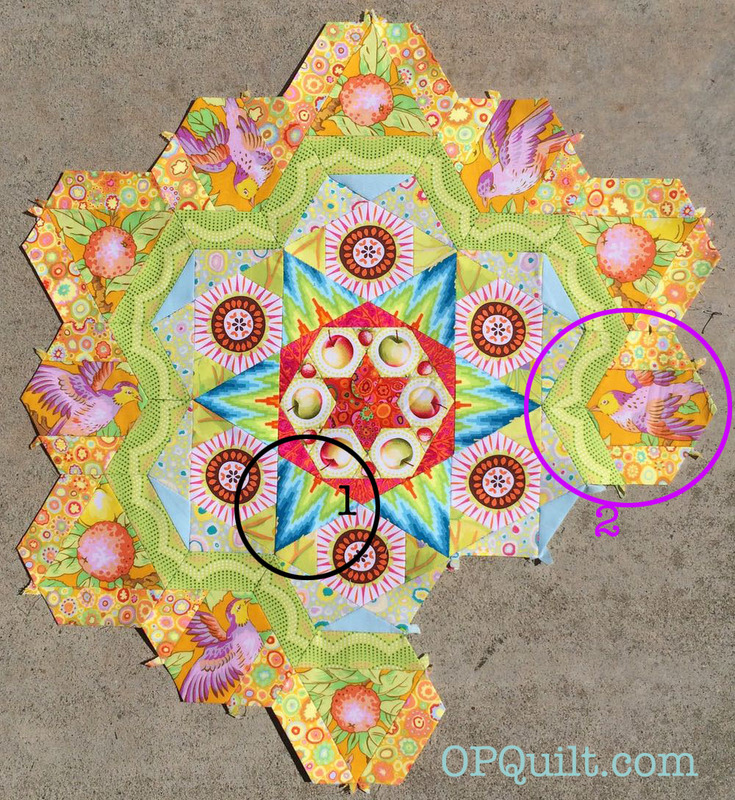 Click *here* to head back over to Freshly Pieced and see other fabulous Works-in-Progress.